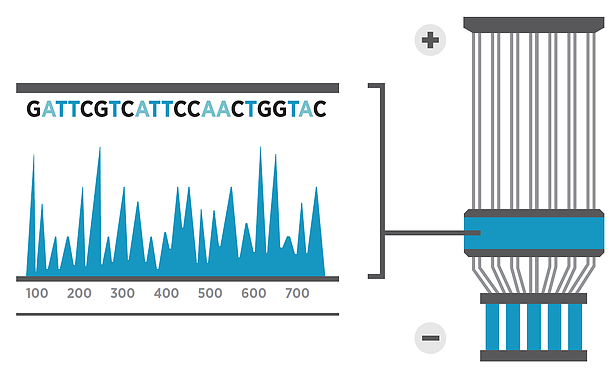 Capillary or Sanger sequencing is the standard for sequencing pure DNA sequences, such as PCR products or plasmids. Capillary sequencing uses the chain-termination method with fluorescent ddNTPs and optics to determine the nucleotide sequence. 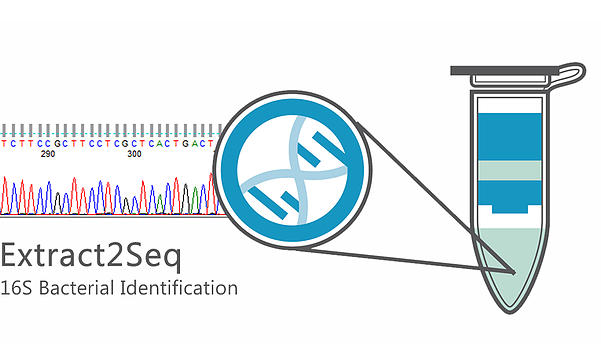 This method is valued for its accuracy compared to the sequencing-by-synthesis method used by most NGS platforms, specifically with regard to nucleotide repeats in the target sequence. Capillary sequencing can be used to determine sequences from known genetic markers for phylogenetic analysis, validate plasmid construction and transfection experiments and is used to validate results from next-generation sequencing. Additionally, we offer bacterial identification from pure bacterial isolates through sequencing the 16s rRNA gene sequencing.